Plenty Heirloom Farms' first seeds were planted in 2011 when Sarah & Jeremiah Sailer decided to rip out their front lawn and try planting vegetables. This one decision changed the course of their health, lives and community. Becoming more connected to the food they were learning to grow sparked a passion within Sarah and connected her to her Italian heritage. As their health improved and Sarah began to fall more in love with growing vegetables, she wondered if others might want to join in. Lynn Peterson, a neighbor just around the corner, was inspired by Sarah's garden and hoped to boost her own family's health as well. They joined forces in 2014 and began growing food together, along with their families. In 2015, they realized they had enough to share. 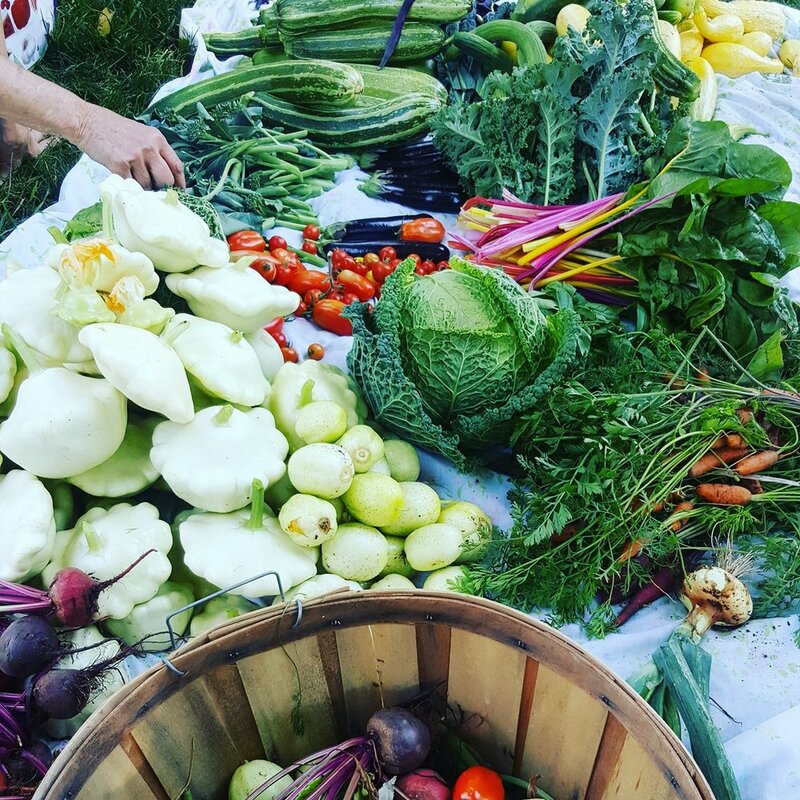 They turned Plenty Farms into a working CSA neighborhood farm, bringing other families along to learn and share the bounty. They now grow food on 6 separate lots in Loveland's Historic Downtown neighborhood, feeding 15 families each season and donating the excess to 'Plant a Row for the Hungry' program. Plenty Farms hosts field trips for local schools, as well as teaching classes to community groups on topics such as soil health, composting and small space gardening. The original co-founder of Plenty Farms was Sarah's dear friend Will Bemis. Will and Sarah shared a love of food, and met as neighbors. When Will brought over a hunk of rustic sourdough bread for Sarah to try... a conversation began. "I need to learn how to make this bread!" she said. Will taught Sarah what he had learned about bread baking from his time traveling and living in Greece. Learning to feed the starter that Will had kept alive for over 15 years, Sarah learned the simple, nourishing skill of bread baking for her family. The traditional, slow rise dough was unique. Because of the fermentation process involved with the starter, this old-world bread was easier to digest, which helped with the family's food sensitivities. It was Will's mention of wanting to build an outdoor oven that inspired Sarah and Jeremiah to build their own. 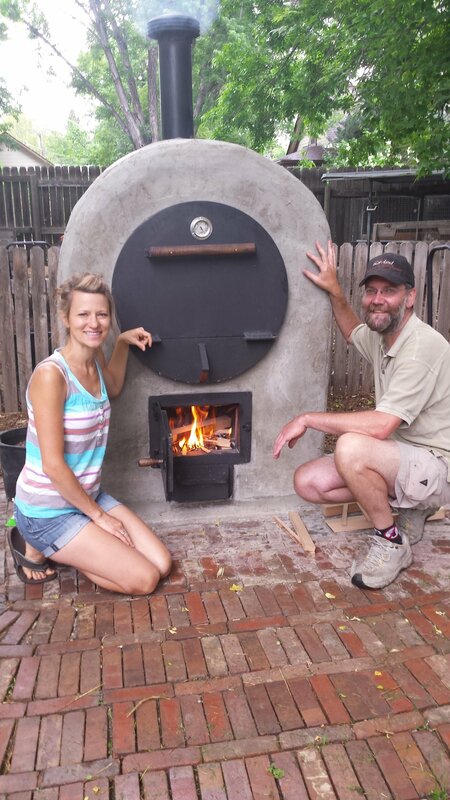 (read the full story here) Will, Jeremiah and Sarah laid the brick, and with help from their dear friend and blacksmith Scott Kretschmer, welded an old 55 gallon barrel into an oven. Will and Sarah began baking sourdough and selling to the community in 2014 but tragically, Will lost a battle with cancer the very next year. It is an honor and privilege to continue to share Will's gift every time we pull a loaf of bread out of our oven. His spirit lives on in all that we do. We currently bake bread once per month via pre-sales on our website, then deliver to Loveland Aleworks once per month for Night on the Town (2nd Friday of each month.) Visit the 'market' tab to pre-order.